This is the easiest mono amplifier circuit to build, as far as I know. I love it because it is powerful enough to play pretty loud. And it doesn’t need a pre-amp, heat-sink or any weird transistors. All it requires, is a few standard capacitors, a couple of resistors and a potentiometer. It will give you 4.7 Watts of power. This should be enough to play music in the park with some friends and a couple of brewskies. 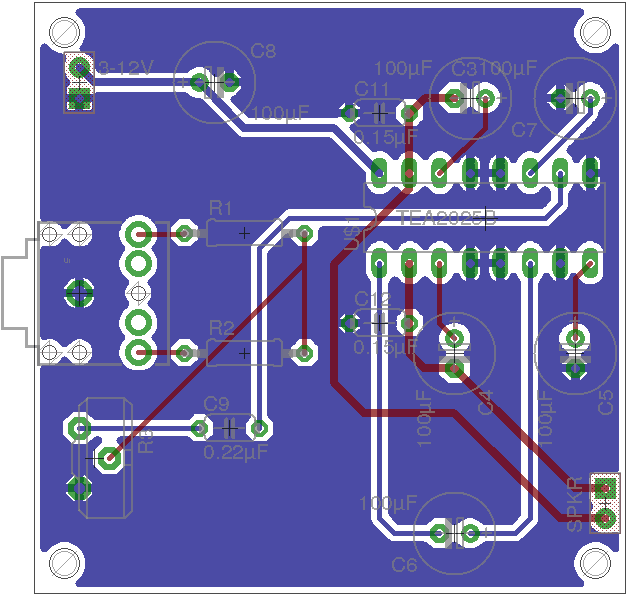 I’ve added the schematics, PCB design and Gerber files a little further down the page. It’s also possible to make a stereo amplifier circuit, with some small changes to the circuit. PS! There are no C1, C2 or C10. The reason for this is just that I added and deleted some capacitors in the schematics, and forgot to rearrange the numbers. 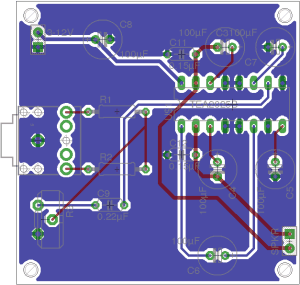 You can build the mono amplifier circuit on an experiment board. Such as a stripboard. It’s simple enough to do that. And you can use only through-hole components. 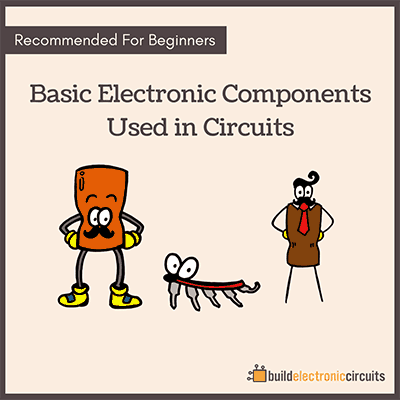 Or you can design your own printed circuit board. This is a good idea if you want to create several mono amplifier circuits. 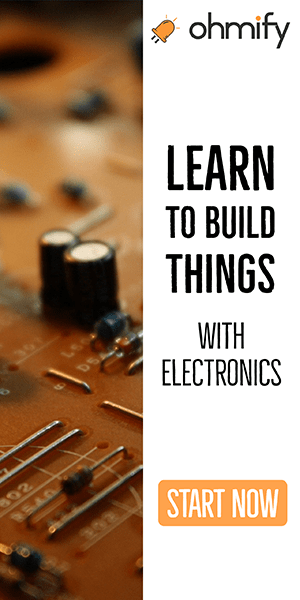 Or if you just want to practice your PCB design skills. Either way, you have to make sure you place the capacitors the correct way. In this circuit, we use polarized capacitors. Polarized capacitors have a plus-side and a minus-side. They must be placed accordingly. There are a few non-polarized capacitors too. You can place these whichever way you want. 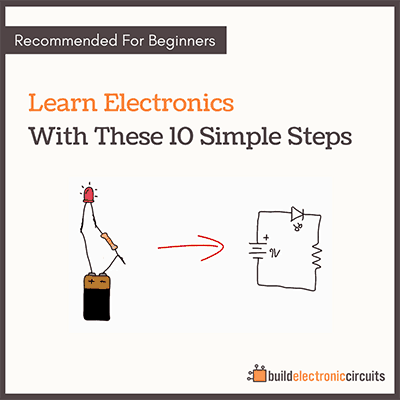 Power the circuit with 3 to 12 volts. But, you need 12 volts if you want to get full power out of it. The thing that makes it possible to create a mono amplifier circuit so easily, is the TEA2025 chip. As far as I have seen, it’s one of the simplest chips to use. It is an old chip, so it might not be available for too long. The old and cool chips have a tendency to go out of production at some stage. But at the time of writing (February 2015), I can see that it’s available in several online stores. whata kind PSU did you use? You can power the circuit with anywhere from 3 to 12 V. 12V gives you the most power from the speaker. I tried with a simple 9V battery and it worked fine. Can I used this amp to my electric guitar?